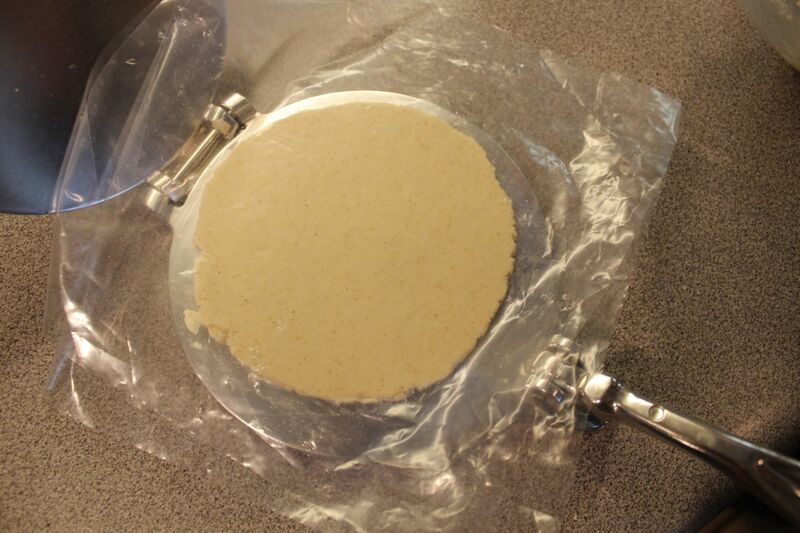 Last night saw my second attempt at homemade corn tortilla making. (The first attempt was not worth mentioning, if you catch my drift). But I am finally starting to get the hang of the dough texture and the tortilla press. I still need a lot more practice to speed up the process. 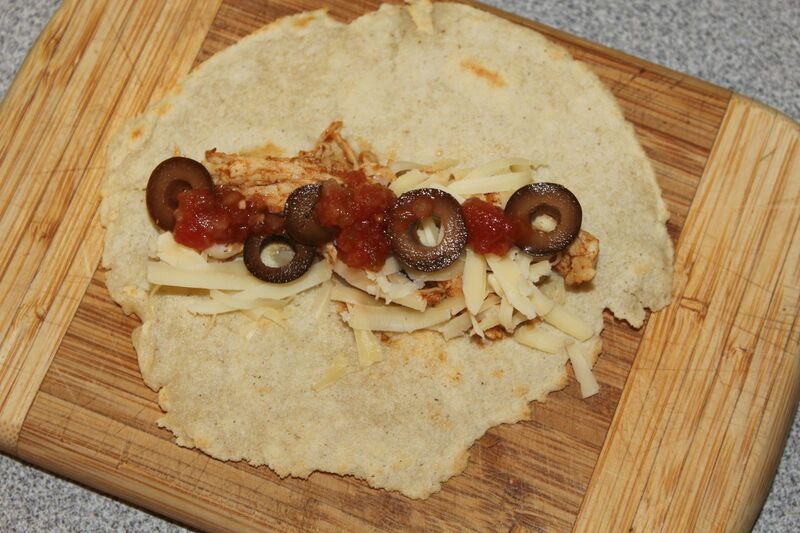 Fortunately, the boys LOVED the chicken tacos we made with the fresh tortillas. So they are more than willing to keep trying my experiments. Here’s a shot of the tortilla press, another of the tortilla in the pan (it’s a large pan, I was usually cooking two at once), and then the 12 y.o.’s first (of 5) tacos. Fillings were shredded Miller’s Organic chicken breasts (look for a future post about how Jacques Pepin forever changed how I cook chicken breasts) seasoned with organic cumin, chili powder, oregano, salt & pepper; black olives; organic salsa (sugar free – which is hard to find) from Fresh Market; local cheddar, shredded; Greek yogurt (instead of sour cream); Tabasco; and avocado slices. OK, I’ll admit. Not the prettiest tortilla, in and of itself. But we all agreed that they were so much tastier than any store bought one (or even most restaurants, for that matter) we’d ever had. I tried different treatments on the press. Most recipes recommended plastic wrap, but that was a pain and stuck to everything. I finally came across one recipe from simplyrecipes.com that recommended using two pieces cut from a large zipper-close plastic bag. That was perfect! I made two batches and refrigerated the leftovers. Breakfast tacos tomorrow morning with scrambled eggs and cheese? Or I may try homemade tortilla chips for an after-school snack. *I know WAY more about the flour used for tortillas than I ever imagined there was to learn! 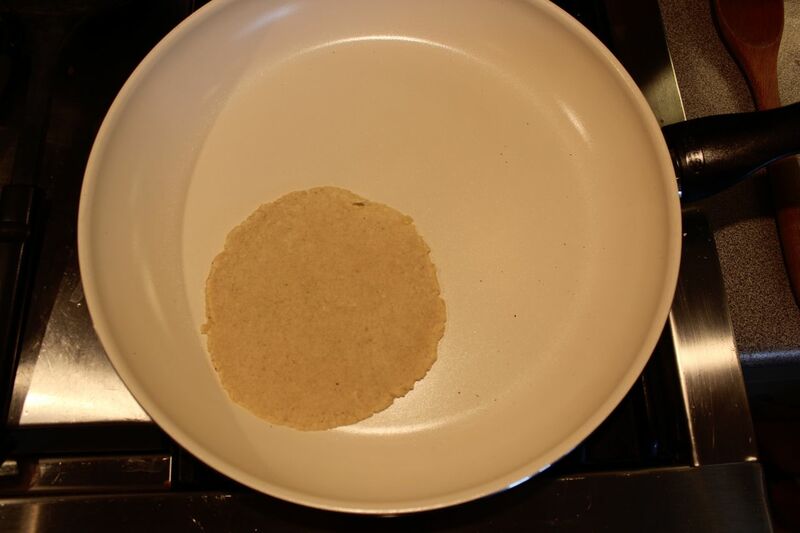 It actually took me quite a bit of research to get from the idea of making my own corn tortillas to figuring out what to buy and how to do it. The simplest things often take the longest to master, don’t they? If you are as curious about your foodstuffs as I am, here’s a pretty succinct description of what masa harina IS from TLC. ← Day 25-28. Salad. Books & Popcorn. Pork.